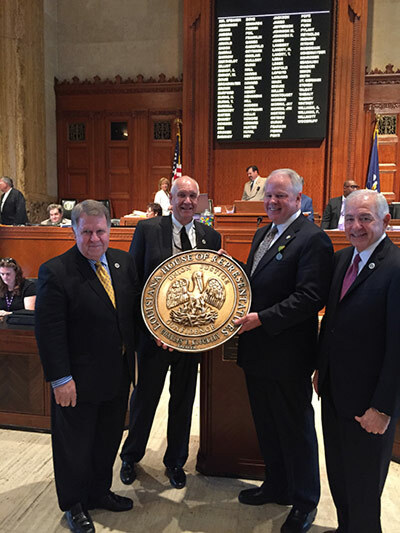 Robert Huff presenting a state seal to Louisiana Speaker of the House Joe Salter and Representative A.G. Crowe. 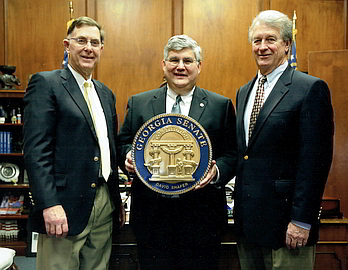 Robert Huff and Tennessee Legislator Ken Baker present 15 inch personalized Georgia Senate Seal to Senate President David Shafer. 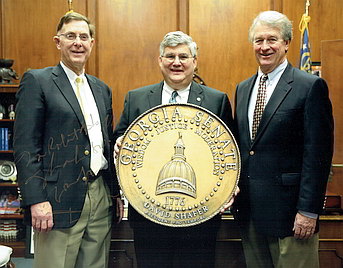 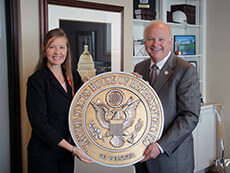 Robert Huff and Tennessee Legislator Ken Baker present 24 inch personalized Georgia Senate Seal to Senate President David Shafer. 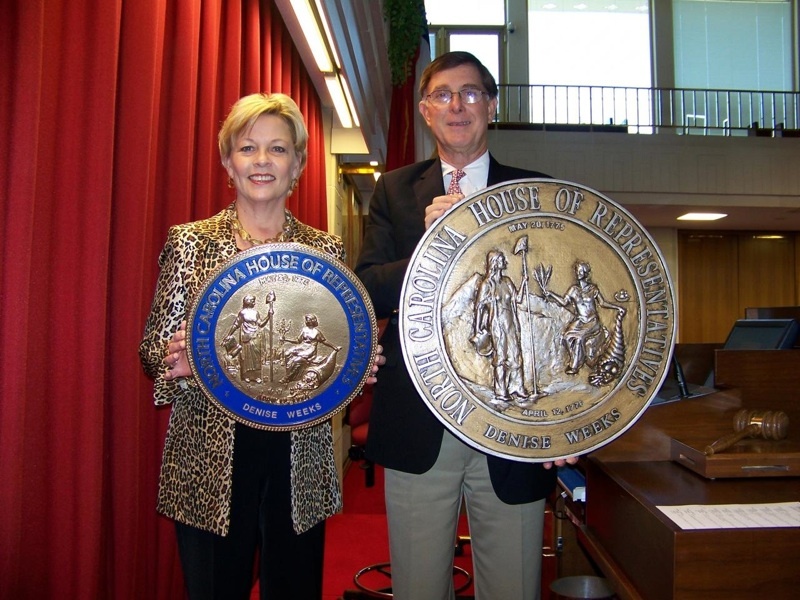 Artisan Robert Huff of Memphis, Tenn., wheels a state seal measuring 7 feet in diameter into the Legislative Building in Raleigh, North Carolina. 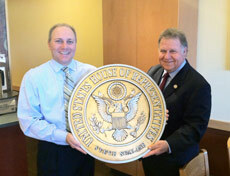 The new seal will be the centerpiece of the renovated Senate chambers. 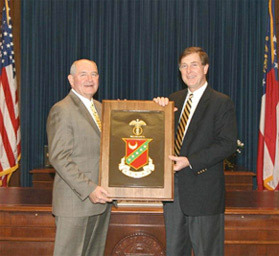 Robert Huff presenting the Kappa Sigma fraternity crest to fraternity brother and governor of Georgia, Sonny Perdue. 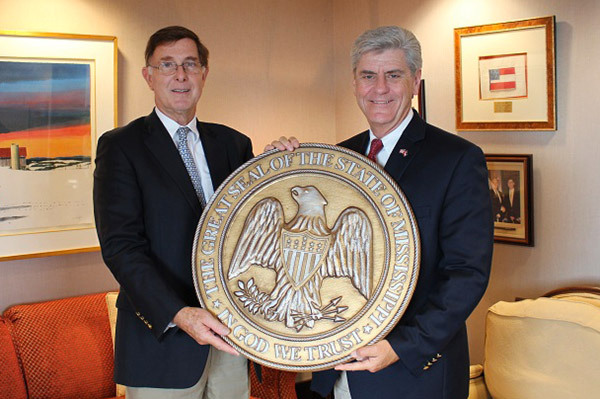 The crest was made by Robert Huff Designs. 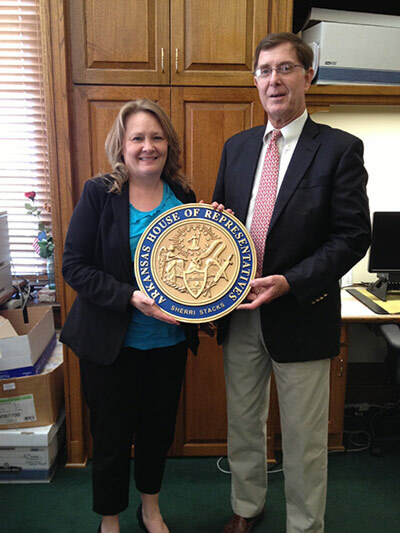 Denise Weeks, Chief Clerk of the North Carolina House of Representatives and Robert Huff. 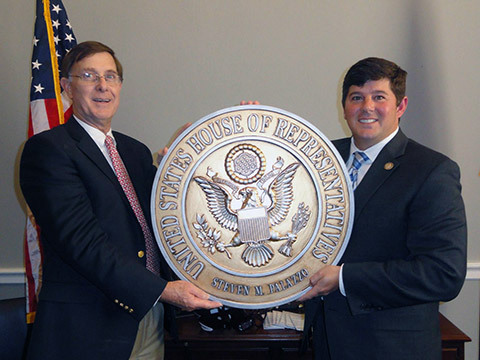 Pictured left to right: Robert Huff, State Representative Brent Yonts and Speaker of the Kentucky House of Representatives - Greg Stumbo. 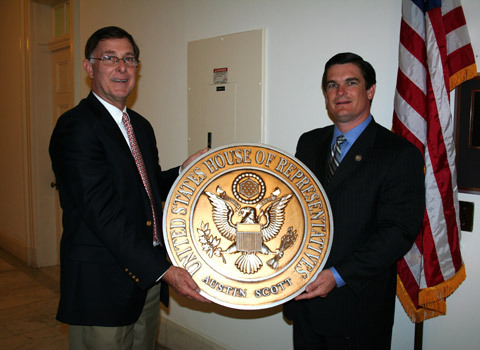 Utah State Senator Michael Waddoups and Robert Huff. 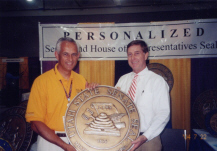 Florida Sen. Carey Baker, Sec. 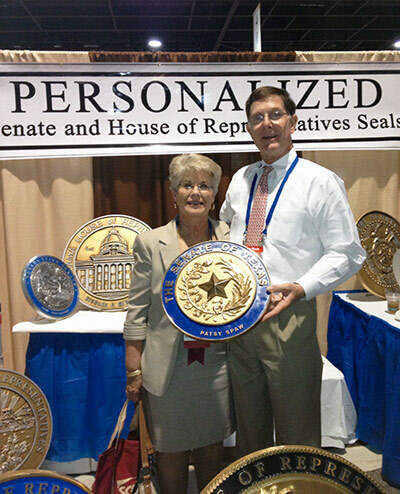 of Florida Senate Faye Blanton with Robert Huff. 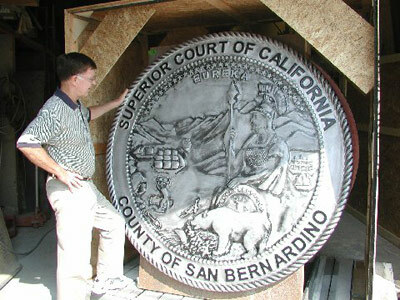 Robert Huff, owner, inspects a six foot seal for California before shipping. 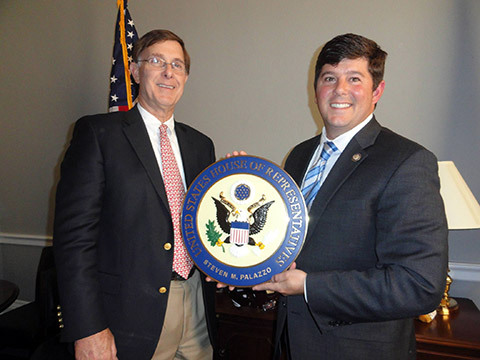 Robert Huff with US Congressman Steven Palazzo. 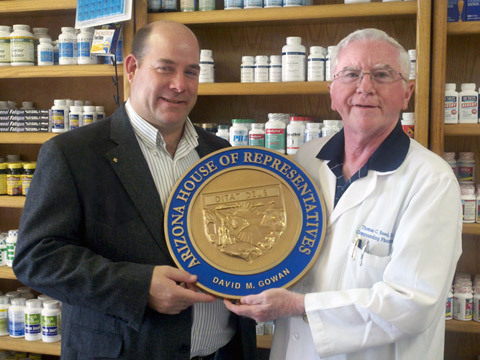 Arizona Representative David Gowan and Dr. Tom Reed. 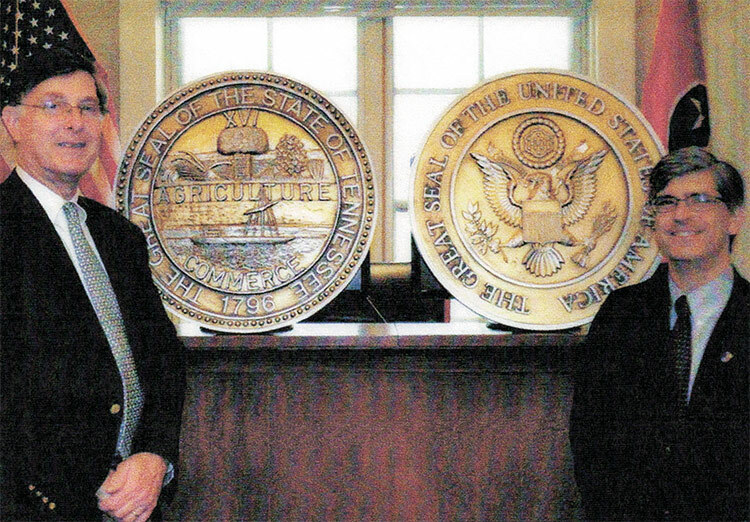 Robert Huff presents state and federal seals to Dean peter Letsou of the Cecil C. Humphreys School of Law. 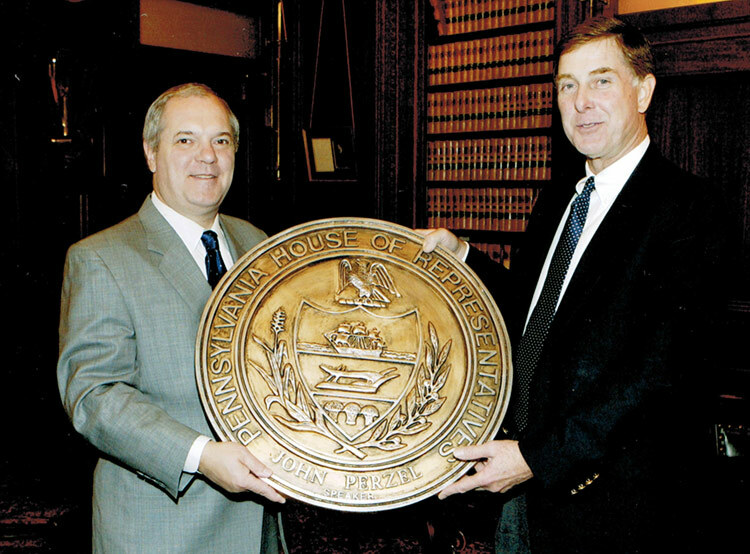 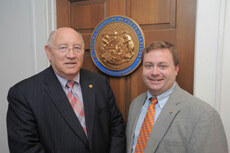 Robert Huff and John M. Perzel, The Speaker of the House of Representative for Pennsylvania.